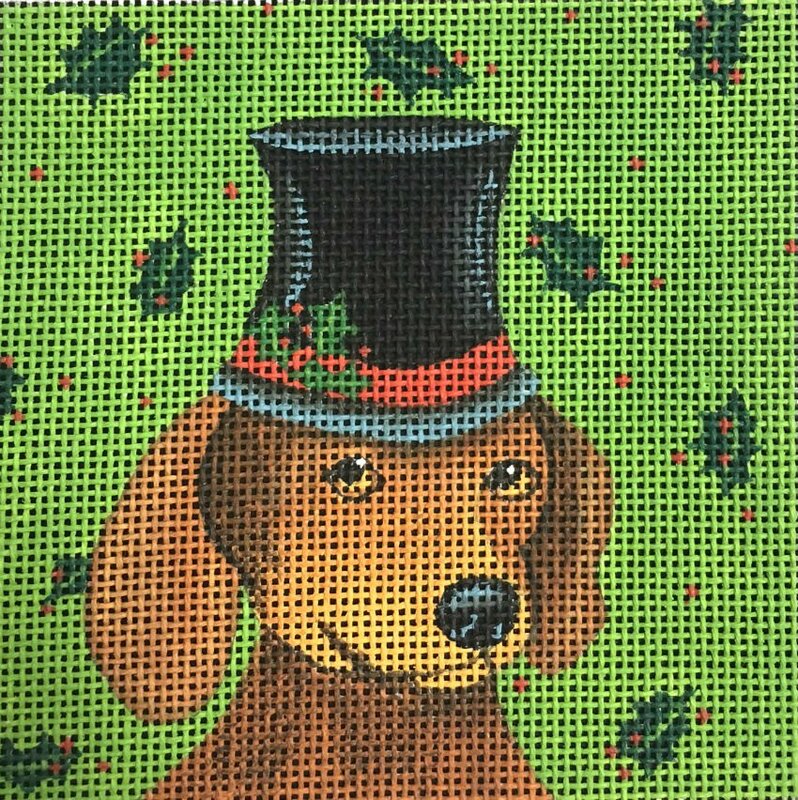 An adorable dachshund needlepoint canvas in festive Christmas top hat with a holly background by Ginny Diezel for Maggie Co. The design measures 4" x 4" and is handpainted onto 18 mesh needlepoint canvas. If you require stretcher bars we recommend two pair of 8" and some thumb tacks. Canvas is in stock and should ship in 1-3 days.